The activity involved the processes of Attention, Retention, Recall and Expression - listening attentively to the stories, retain and recall the important elements of each of the stories and then express the same through drawings. 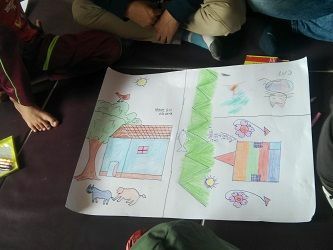 The children worked in groups while they did this.The activity involved the processes of Attention, Retention, Recall and Expression - listening attentively to the stories, retain and recall the important elements of each of the stories and then express the same through drawings. The children worked in groups while they did this. These are required for our office/ (Center of Excellence) immediately. 2. 2 Desktops at Samiksha Foundation's Office., OS installed , Monitors and other procured - or 2 new desktops to be procured. We would eagerly request your cooperation in building this infrastructure. We bring books and educational material to the hospital wards and maintain a library on site. This material is rotated once a week. The children are encouraged to borrow books from the library and to write reviews of or discuss the books they have read. The books in the library are in both English and vernacular languages. The library at the Kapoor Ward at KMIO now has 850 books. Our resource partners for this program are Pratham Books and Tulika Publications. We are working towards building for a New updated Library. Click here to donate. Samiksha Foundation is launching a new Yoga and Creative Visualisation Program for Self-Healing. This will begin in June 2018, to mark World Yoga Day. We seek the following sponsorship for this program: Rs. 7500 per month, plus the cost of obtaining 50 yoga mats in eco-friendly materials. You can donate directly to this program here. This program will be conducted by highly trained teachers from across the country, in collaboration with Prafull Orja and the Shankar Prasad Foundation of Gokarna. It will be mentored by Swamini Yogaratna Saraswathi from the Bihar School of Yoga, who has 40 years of experience in yoga and creative visualisation. Swami Yogaratna developed the first yoga program for our kids at the ward. The children and caregivers are encouraged to practise the exercises they learn each day. In addition to yoga and meditation, the program involves creative visualisation and art therapy, based on the guidelines of Carl and Stephanie Simonton. In this part of the program, the children are asked to visualise combating their illness and express this through a story or a drawing, to support their process of self-healing. View videos of the yoga program here and here. We work four times a week at Kidwai Memorial Hospital’s paedriatic ward (the Kapur Ward) to bring the children up to speed with their schooling. Our teachers (both Foundation staff and volunteers) provide one-on-one instruction for the older students and group teaching for the younger ones, so that they can continue their education while in the ward. Our structured tutoring and activities follow the school year, and we provide books and resources that follow the state and national curriculum. There are around 110 students in this education program at any given time. Since June 2009, around 1975 children treated in the ward have gone back home and returned to school. Our thanks go to our teachers and librarians Ms. Vidyavathy and Ms. Parvathi, as well as to our volunteers, for their hard work and sincere efforts. We also thank the authorities at Kidwai Memorial for their cooperation, especially Dr. Janet Parameshwar, Head of the Social Work Department. 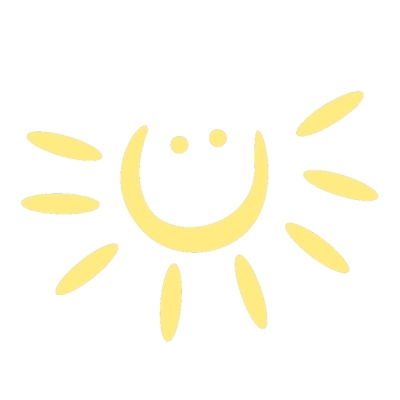 Samiksha Foundation is a Creative Learning Initiative for children with cancer and their caregivers. Since 2009, we have been running our education program at the paediatric ward of Kidwai Memorial Institute of Oncology, Bengaluru, with around 110 children attending at a time while they undergo treatment. Samiksha Foundation is a registered trust under the Indian Trusts Act, 1881, document no. BNG(U)-BMH 237 2009-2010. Donations made to the Samiksha Foundation are deductible under Section 80G(2)(a)(iv) r.w.s. 80G(5)(vi) of the Income Tax Act, 1961, with tax exemption certificate no. DIT(E)BLR/80G/5/AAJTS8922L/ITO(E)-3/Vol 2012-2013, dated 10/04/2012. Samiksha Foundation is registered under Section 11(1) of the Foreign Contribution (Regulation) Act, 2010, with registration number 094421719.